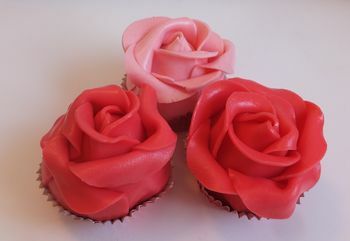 Adorable rose cupcakes are perfect for so many party themes! Believe it or not, they’re not really all that hard to make. You can find detailed instructions for these at Cake Central. 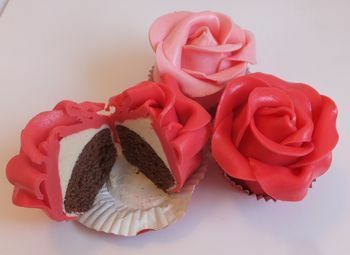 The author used marzipan to make these, but I think you could easily adapt this for fondant. Obviously, you could use any color for the roses – you could even mix two colors on one rose if you’d like. She used chocolate cupcakes with a white cream filling – yummy! If you’re the least bit crafty, you’d probably enjoy making these!